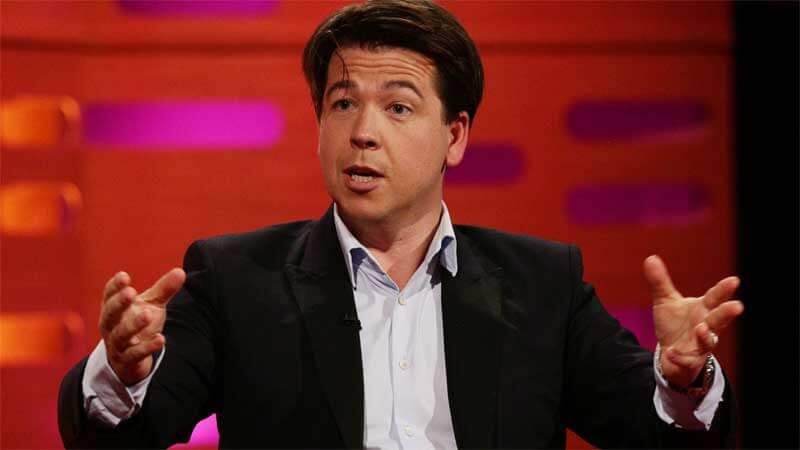 Michael McIntyre has unveiled plans to renovate his listed building home in London, although not everyone is happy with the announcement. The comedian bought the £5.6 million mansion in Hampstead in 2009 for £3.2 million, and he now hopes to make a number of changes to extend the property. He submitted a planning application to the local council requesting permission to enclose a first-floor terrace to make it part of a larger study, while forming a new terrace from the roof of the extension. According to the Daily Mail, after submitting the plan in July, McIntyre has since amended the proposals to include French doors, a Juliet balcony and sash windows. However, the 39-year-old has faced opposition to his listed building renovation plans. Neighbours and a local conservation society have argued against making more changes to the Edwardian mansion. “I should like to object to this proposal for an extension of an extension of an extension,” said one unnamed neighbour in a letter to Camden Council. The Heath & Hampstead Society also spoke out, stating that the council should adhere to Policy DP24. The regulation was introduced to ensure high-quality design work for extensions in the borough. “This is a locally listed house, requiring special consideration to its architecture and urban character in our conservation area,” the organisation stated. McIntyre, who is currently on the road with his latest comedy tour Happy & Glorious, is yet to comment on his home renovation project. However, the Mirror reported that a decision on planning permission was due earlier this month.